WTF Album Reviews. If you create strange and abnormal music - send it to us. How does one define energy in music? I'm not talking about rhythm or tempo. Not the pace of a song or the speed of delivery. Perhaps the chemistry of excitement that circulates around the vision involved in the music. The very thing that seems to be lacking in a lot of experimental and avant-garde music. Sometimes musicians get too wrapped up in experimentation and trying to be fresh and clever that they lose their energy in the process. That's what stands out the most in Staraya Derevnya's soon to be released new album "From inside the log" - the energy! I can feel it pouring out of the speakers. It's as if all the music is spontaneously being created and each part is somehow being poured out of each of the musicians' heads while they observe in fascination. Another pattern I see spread around various experimental albums is their inability to keep cohesion. As if incohesion and scatter-brained sound splatter was the right to being weird and all avant-garde like. "From Inside The Log" keeps a stable atmosphere lingering throughout the whole album. A strange psychedelic campground filled with ethnically diverse acoustic instruments against open form and folk-like storytelling circles. 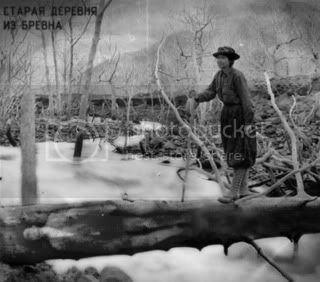 Bullhorns from treetops echo around the forest in distorted Russian voices as mutant insects dance around a broken rainbow. This is the sound of the mysteries that occur deep within secret unenchanted forests. The arrangements are tight and the instruments well played. This music puts a spell on me. It gives me energy even at it's darkest moments. Where ever such power comes from - it's a missing element in so much of what gets passed around as abnormal and unconventional music. 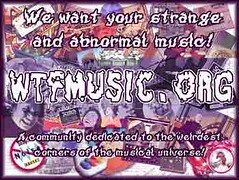 WTFMusic.org is a community dedicated to the strangest corners of the musical universe!